Love that golden orange color. It’s prettier in real life. So finally I get around to finishing off this mini series on Calendula (pot marigold). This post will be on infusing oil, and next week we’ll have the one on salves. Oil infusion is as simple as can be. Oil infusion is soaking. Think of it like making sun tea. You take a nice clean jar with a good lid, and fill that about half way full of dried herb, top it off with oil, and let that sit in the sun. The resulting oil is medicinal. It can be used straight on the skin, or fashioned into salves and balms. I’m particularly fond of Calendula. As a skin treatment it displays regenerative properties, making it really helpful for healing dry, scraped up, or otherwise damaged skin. But lets step backwards a bit and talk about materials. Your herb–Calendula or anything else– should be dry when you start this. It should crumble between your fingers. If there’s any flexibility to leaf or flower, that means there’s still water in there. The reason you don’t want water in there is that spoilage in oil infusions usually comes about because of the presence of water in the plant material. Spoilage can result in anything from off smells to mold to–worst case scenario–botulinum toxin in the oil. Now, to be sure, I know folks who infuse fresh herbs in oil, and they’re not all dropping dead. This is like the prohibition against infusing oil with fresh garlic cloves. Garlic oil tastes really good, and lots of people have done it for a very long time, but, theoretically, bad things can happen because of the water in the garlic (i.e. botulism), so it’s not recommended by the Powers that Be. So it’s up to you–I’m just not going to encourage it. 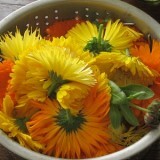 Regarding Calendula specifically, you can soak either the petals alone, or the whole flower heads. Either way is fine. Just make sure the green part of the heads is truly dry. Your oil doesn’t have to be super high grade. I use un-virgin olive oil–not the lowest, motor-oil sort of grade–just something a little more experienced than extra virgin. This is also a matter of preference. You can use organic, cold pressed, locally sourced extra, extra virgin oil, for sure. It’s just an expensive proposition. Since I make these oils in quantity, I use the less expensive oil and save the good oil for salads. It doesn’t have to be olive oil, either, but it should be something good for the skin, like jojoba oil or grapeseed oil. I don’t recommend common cooking oils, like corn or canola. Some people infuse into petroleum jelly (making insta-balm), but that makes me shudder. I’ve not tried infusing coconut oil, but I imagine it would work great. All you have to do is fill a very clean jar with a good lid about half way full of dried herb, then top it off with oil. If the herb you’re using is very fluffy, and as a result has a lot of air around it–imagine a jar of dry chamomile buds, for instance–you can fill the jar almost to the top with dried matter. This not an exact science, so don’t get worked up about exact quantities. The only thing you should keep in mind in terms of measurement is that you’ll get less oil out than you put in. The herbs soak up a good bit of the oil, and don’t give it all back. Also keep in mind that you don’t need to make a ton of this stuff unless you’re planning on selling it, or doing a big Christmas project. Salve stretches a long way. A jam jar–the kind that holds 1 cup–is not too small for an experimental go at this. Cap the jar tight and let the plant matter infuse in oil for about a month. The best place is in a sunny window, where it gets some heat and light. Very gentle warming is the idea. You can take your jars outside when the weather is good. When the sun is hiding, I’ll put my jars on the stove top, where there’s constant warmth from the pilot light. Give the jar a shake every now and then. There are other ways to do this. Some people simmer on the herbs and oil on the stove top. I avoid this because plant essences are so delicate and heat sensitive. A crock pot is more controlled, but I don’t have one of those. In Making It I wrote about a technique involving alcohol, the blender, and the stove. It’s tricky, but it will yield finished oil fast. But here at home, I like the simplicity of the long soak. It doesn’t take any energy, and hardly any attention. Above I said about a month–that’s loose, because again, it’s an inexact science. I’m sure you’d have something useable in a couple of weeks, and I will confess I’ve often forgotten about my oils and left them more than a month with no ill effects. 3 to 4 weeks is ballpark. Strain the oil from the dried matter. I used to do this very, very carefully with a tea strainer or with a muslin bag. Now I have the blessed canning funnel. I line that with various strainers, depending on how clean I want the oil. I have a fairly loose strainer that’s good for big stuff, like Calendula blossoms. Tea baskets fit in there as well. And for very fine straining I can line the strainer with cheese cloth or muslin. Strain the oil into a fresh, clean jar. Pour off the oil first, then press the dried matter to squeeze out the remaining oil as best you can. You’ll never get it all back. Make sure you label it with the type of oil and the date it was made. Believe me, even if you only make one jar, you’ll forget what it is and when you made it, and a year later you’ll be standing at your cupboard, puzzling over it. Store the oil in a dark place. Use it up within a year, the sooner the better, to take advantage of the Magick Herb Power. Of course you should not use oil that smells rancid or looks funny. Smell your herbs and oils as you’re working with them! If you’re familiar with them, you’ll know easily that they’ve gone off. Don’t throw away old or even rancid oil, by the way. Burn it in oil lamps. That’s a whole ‘nother project that we should cover here. It’s the first project in Making It. Why not plant some Calendula? I love making (and using!) Calendula oil. Sadly, I can’t seem to grow it. I think it hates the Texas heat, and winter here doesn’t seem to suit it either. I have plenty in my garden! I’ll make some and send you some if you want? I want to give it a go, it’ll be the first time. Maybe I am missing something vital here. I have always read that infusing oils with herbs at home was not wise, something about it would grow unhealthy fungus or bacteria or something. I am not even clear enough on the problem to form an intelligent question. “Just don’t do it” is all I remember. Calandula is anti fungal, so it should be alright. The key is to make sure the herbs are dry, I believe. Thanks for this post! I have a few calendula plants in my back yard right now that are yielding a blossom or two per day. Once I get a nice pile of dried blossoms, I want to make infused oil and then a salve, so this info is just what I needed. I suppose there is no problem with adding a few other dried herbs in the jar at the same time? For example, some dried chamomile, or rosemary? Or should each herb be infused into the oil separately? That would take quite a while. I have some Calendula I was going to use for tea but I should have enough to use for this. Thanks!! My bad. I just re-read and found the answer to my dry/moist greens question. Sorry about that! @Catherine: That’s very sad! Are you sure? It’s such a sturdy plant. Maybe check with your local university extension office and see what they say. @Parsimony: You might be thinking about infusing oil with fresh herbs. @Laura Jeanne: Yes, you can do an herb combo. I should have mentioned that. @Cate: No problem! Yep, you don’t want to use material that is not fully dried. The botulism risk freaks me out, small as it is. That aside, it’s just sort of a drag to find your jar of pretty flowers in oil has gone stinky and moldy. Mrs. H, You are right. I suppose that is where I heard about herbs in oil being unsafe. The difference in dried and fresh was not mentioned. I have had a canning funnel for about 35 years, but not as large as the one you have. I found the larger kind like you have and bought two. And, you are right, pouring beans is so much simpler. My older two are not as wide as the newer two. As I get older, my aim is less accurate (or something) and my ability to actually pour a slow stream of anything because of my hand and shoulder injuries, so I appreciate the larger diameter. I have a question regarding the blender method of infusion from Making It. The first time I made it, I had 2/3 cup “herbed booze” to which I added 3 1/3 cup oil. That turned out to be a massive quantity which took hours on the stove, so the second time I backwards planned and decided 10 ounces would be just right, being enough oil to try the Silky Cream and the Olive Oil Whip recipes. This time I took a small quantity of Calendula (a loose 1/3 cup), covered it with 151 proof Everclear (using 2 ounces and packing it down by nesting another glass inside) and after 24 hours added that to 10 ounces olive oil. After about 2 hours on the stove it still smelled of alcohol, so I turned the burner off and went to bed leaving the sauce pot on the stove overnight (without a lid). I could still smell alcohol in the morning, cooked it another hour, and then strained it into a single 6 ounce jar. After sitting in the jar (without a lid) for the morning, the alcohol seemed to finally be gone. I was surprised that the oil had been reduced from 10 ounces to 6. I hadn’t figured on much of a drop since the herbs are only in the oil for a few minutes with this method, so it made me wonder if I’d done something wrong. Just wanted to check. Thank you. @Joss: Hmmm. I’m not sure where you lost that oil. Certainly in regular oil infusions, the kind where you just put the herbs in oil and let them sit, you lose a lot of oil to the herbs, because they soak it up. I wouldn’t think that alcohol soaked herbs would be able to pick up any oil, but perhaps they did. Sorry I can’t enlighten you. Thanks for the info. Just strained my Hibiscus Rosehip oil and now for a batch of Calendula. You can also burn off the oil on a coffee warmer type device. Add a few drops water and when it boils off you’ve gotten rid of the water. 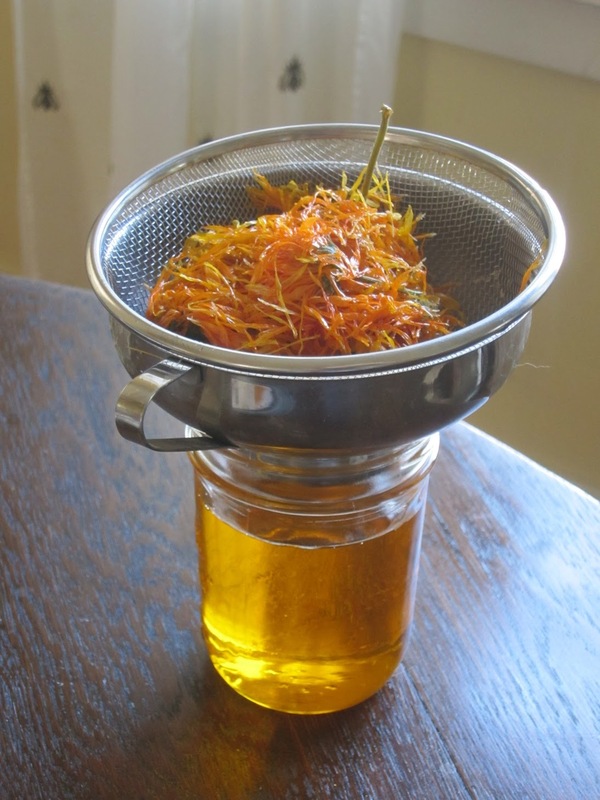 Hello, I grew calendula in my garden last summer, dried it in a dehydrator and October 18th I started infusing it in oil with the intention of making salve Nov 18th. I have been busy and forgotten about the oil. It is now almost 3 months, how can I tell if it is still good? There is no mold growth. You know, I suspect it is fine. Mostly because I know your Calendula, being dried in a dehydrator, was presumably very dry. There shouldn’t be anything in the jars to spoil, if you see what I mean. Dry herbs in olive oil, packed in a clean jar, is a pretty inert situation. Water is usually at the heart of spoilage. Coming back to clarify that if all is well in a jar, it should stay that way. Spoilage would have happened early on. Leaving herbs in jars too long isn’t such a big deal. I think the downside is mostly breakdown of the organic matter, leading to murky oil. If any more experienced herb people want to school me on this, I’m open. But as I said, your oil should be okay. Extra strong, perhaps! Hello all…I read somewhere that if you add a few drops of a medicinal oil such as lavender or grapefruit, it will keep your infusions clean of any toxins and extend the shelf life of it. Plus you get a pretty smell to go along with it 😉 happy infusing!!! Here is what another website said to do… 4. Add a “preservative.” I know that word has a negative feel, but I’m not talking about crazy chemicals here Adding a little vitamin E oil (which adds nourishing properties), benzoin essential oils, or grapefruit seed extract will work to naturally ward off any mold or such. Note: This is not absolutely necessary…especially if you will be using the oil soon after infusion. 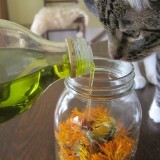 A good Calendula infused oil should keep, without added preservatives for up to a year. The lamp project is in our book, Making It. It does not exist as a blog post, yet. Also how do you use this oil? Is it for eating with or is it part of the salve? Like a lotion? It’s for salves and lotions, not eating. Look at the tags under my picture on the left, and click “Calendula Series” for more. un-virgin olive oil is a just a chemical imitation of real olive oil (extra virgin olive oil*), after reading this i felt that your unknowing of carrier oils made this article invalid to me, I would not use any chemical based oil for the purpose of a organic medicinal solution, Either would i recommend using low grade oils as the end product would nonetheless be a low grade solution and for someone who has gone through the trouble of growing their own calendula and infused it for weeks including daily shaking, a low grade solution would be unfavorable and a complete waste of energy and resources. I would disagree with the assertion that regular olive oil is “a chemical imitation of real olive oil”. In the US, oil labeled “olive oil” or “pure olive oil” is a blend of virgin olive oil and refined olive oil. Virgin grade olive oil is oil which is made from virgin production, but which too acidic to meet extra-virgin standards. Refined olive oil is genuine olive oil which has been treated to remove odor and flavor. The Olive Production Manual (2005) says this is usually accomplished by heating the oil under a vacuum and siphoning off the volatile compounds. Wikipedia says it may be filtered either physically (with charcoal) or chemically. Both sources point out that the refining methods used may not interfere with the initial glyceridic structure of the olive oil. In other words, it remains olive oil. It’s not tasty, like extra virgin oil– I would prefer to drizzle EVO on my caprese salad– but it’s olive oil. Anyway, these problems aside, the relative neutrality of regular old olive oil, in terms of odor, especially, and to some extent color and flavor, makes it appealing to people like myself who wish to make their Calendula infused oil into lotion and lip balm. No one wants their skin to smell like strong, zesty olive oil (and I know this from experience) or to have olive oil flavored lip balm. It’s also much less expensive than EVO, which is helpful. I don’t believe using plain olive oil, or virgin grade oil instead of extra-virgin invalidates the product. You obviously disagree. My standards, personally, are edibility. If I can eat it, I’ll put it on my skin. The products work and treat me well. So regular olive oil or virgin grade, suits me most often for general/cosmetic purposes, though I also use EVO sometimes. It depends. 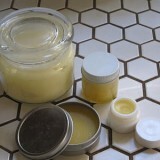 Heck, I know good herbalists who use petroleum jelly to make their medicinal salves. Each to his own. Be well. I used coconut oil for my lip balm along with beeswax and shea butter….worked great. Love this, I have a huge bag of calendula that I have made skin and hair products with. Thanks for sharing this. So correct about olive oil. It’s turning out to be quite a scandal. Just because the bottle says it’s EVOO doesn’t mean it is. Great calendula recipe BTW. You can add liquid vitamin E, about 800IU per 1000mL of oil, to preserve it. It will last for years this way and not spoil. When you soak the herbs in the oil, how much oil do you lose? If you start with 12 oz of oil, does it reduce by half? By 1/3? 1/4? I am trying to figure out how much oil and herb to soak to end up with a strained amount of 20 oz. That’s a good question. Maybe 20%? Maybe a little more? Best to err on the extra side so you’re safe. I read that coconut oil is comedogenic and so is not recommended for use on the face. But luckily there’s so many other lovely oils to use, it’s not that much of a problem! Sorry Ken, but I have no idea. I just do really basic stuff. This sounds like a question for an herbalists’ forum. Says here to use dry plants but also to use olive oil for resistance to rancidity. That and adding some vit. E from capsules will help too. Sounds like a better option although I hear jojoba oil is better for topical applications than olive oil. I just infused Calendula in Apricot kernal oil that has E in in it. I use that as a carrier oil for my creams and lotions. Is that ok? 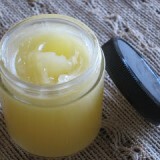 I saw in your post about making salves that you use equal parts calendula, plantain, and chickweed oils in one of your favorite salves. would you be able to infuse an oil with all three herbs at once or do you have to infuse the oils separately and then mix them? You can do it either way. I usually infuse oils with one herb at a time so I can mix and match as I like in the future, but doing them all together can save time and materials if you know that mix is what you want. Should the callendula flowers be fresh or can they be dry? I want to make an ifusion for a hair treatment. I also make soap (as a hobby) and the spent callendula pieces can be mixed in the soap before pouring. Also, you mentioned what to do with rancid oils – these also work well to saponify and make soap from scratch! Depends on what kind of infusion you are making. If you’re making a water infusion (tea) for a hair rinse, you could use fresh or dried. If you’re infusing in oil, I’d recommend dried–otherwise you’re at risk for mold. I made a calendula and yarrow infused shave oil yesterday (first time infusing oil). I hate to just toss the spent/oil soaked herbs in the compost…do you know of any ways to use them? I thought of tying up the cheesecloth and floating it in a bath. Any other ideas or should I just discard? Thanks! I think your bath idea is a good one. I can’t think of anything better. They’re pretty, aren’t they? But most of their “goodness” is in your oil now. Hi, if I want to make big batches of infusions do I need lots of flowers, or will a small amount infuse a big oil quantity ? Hi, if I want to make big batches of infusions do I need lots of flowers, or will a small amount infuse a big oil quantity ? Say if I wanted 5 litres of oil infused at once? The more flowers, the stronger the infusion. It’s like making tea, that way. So you could make it with whatever small amount of flowers you have on hand–it won’t hurt anything– but if you’re interested in the healing qualities of the Calendula ending up in your oil, more would be better. I infused some calendula in olive oil over a year ago. I never got around to straining it. Do you think it will still be okay to strain and use? I wouldn’t. Generally, I don’t keep any oil, strained or not, around for a year. Olive oil goes rancid over time. I should probably add something to these posts abut using up your infused oils in a timely manner. I think it’s better to make smaller batches as you need them, say, quarterly. OK thanks very much for the help. What about once I’ve turned it into salve? Does it last longer at that point or should I use salve up quickly too? 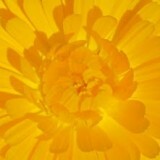 I use this type of Calendula in my salves. It’s more potent medicinally than most common types grown for medicine. It was a fantastic discovery! Just planted them for the first time this year in May. It’s now July and am harvesting blooms to dry. Beautiful and attracts butterflies as a bonus! Easy to find online and I don’t wish to “plug” any business. Happy Healing! Thanks for your awesome blog! God bless all! Hi There, am loving your posts. I planted Calendula and now it is starting to flower. Yay! I can’t wait to try this. My question – I purchased cold-pressed olive oil. You have to keep in a cool place. So now I am wondering. Do you let it sit for a while till I is room temperature to use for the window infusing process? And because it needs to be stored in the cold, is this, perhaps, now a good oil to sit on a window? Will it go rancid? Thanks for your reply. Gosh, that’s a good question! Rancidity comes with age (as well as heat and other factors), refrigeration helps slow the process, so how long it will take to go rancid sitting out is really a matter of how old the oil is to begin with, and that’s hard to tell – -and I don’t know how old “too old” is, anyway! I guess if I had a bottle of super nice oil which I wanted to use for an infusion and I was worried about the oil going rancid during the long steep, I’d do a heat extraction. Do you have a crockpot? Or an electric roaster? I don’t, so I don’t have any direct experience with it, but basically you can put the oil and herbs over very, very low heat, and so extract the herbal properties in a matter of hours or days instead of weeks. Google “heat extraction” and “infused oil” and you’ll find lots of advice. I want to use this oil for my dogs to combat fleas. do you think I’m on the right track? how would I use it to combat the fleas? my reasoning is this. if marigolds are a turnoff for the bed bugs in the garden, maybe the fleas won’t like it either. Marigolds are poisonous. It’s just that poison doesn’t affect humans, but it does affect animals. I would keep consumption of marigolds in all forms limited to only human use. Jus’ saying. Just so others don’t feel bad…..it was my first year trying to grow flowers and I planted a TON of seeds. The plants grew, but I have gotten a total of 2 flowers (and one is SMALL). Should I try pots next year?? My herbs are fantastic, tomatoes great…….calendulas…..not so much. Sigh. I’ve finished up with my 6 calendula plants, from bunnings (local mega hardware store for those not in Australia) bought seedlings, and got approx. 1 1/2 sandwich size paper bags worth of dried flower heads and petals, this being my first attempt. Was advised to add some seasol and powerfeed prior to planting and had quite vigorous growth within 2-3 weeks which, with regular removing of waning flowers, maintained flower output very well. I just made my first batch of herbal oils. I used the crockpot method to make licorice root oil, calendula oil and chickweed oil. I used good quality dried herbs and a high quality California EVO and steeped for 3 hrs. on low heat. However, the contents of all three jars still look and smell like plain old olive oil. Is this normal? Are they finished or do I need to add more herbs and steep again? I was expecting a more herbal scent. I have spent today reading through your blog. It’s so informative and very well written. Instructions are so clear and feedback invaluable. You are going into my permanent bookmark! I have a couple comments. Yes, thoroughly dried herbs etc are the best and safest herbs to use to make infused oils. However you really do not want to use ANY heat in the drying of your herbs (calendula, plantain etc) because it destroys the medicinal properties of the product. The higher the heat, the higher the loss of valuable properties. The best way to dry herbs etc is to leave them on the stems if possible and hang them from the stems in an area out of the sun but with air able to circulate through them. If you can’t hang the herbs, lay them out, not touching, on natural paper towel. If the herbs etc are very damp or contain a lot of water be sure to turn the leaves etc every often. Letting them sit too long without turning can allow them to rot. Occasionally if I only have table space available, I’ll dry mine on papertowel with wax paper underneath. Once your herbs are completely dry and fall apart when you crumble them between your fingers place them in a pint size mason jar pressing them a bit so there is not a lot of large open areas. Do not compact. Add your oil of choice until it just covers the herbs. I use Pure Olive Oil, jojoba oil or if using just in sensitive skin care products, apricot Kernal oil. Place the lid in the mason jar. 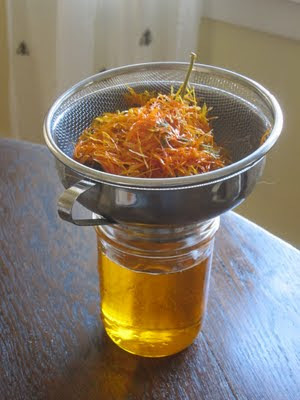 You can rush the infusion process by using a Foodsaver machine to remove the air from the jar with herbs and oil inside. If not, place the jar in a dark cupboard out of the heat. Room temperature is fine. Let sit for 4-6 weeks, shaking once a week, for maximum infusion. Water and heat are your enemy! Once fully infused, drain the herbs and oil through several layers of cheese cloth or a non-metal screen into a non-metal jar. Gently squeeze the cheesecloth to get as much of the oil as possible. Stop if you see any bits of herbs coming thru. You now have the best grade infused oil for use in your personal care products! Enjoy. 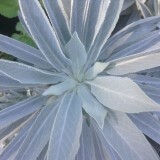 This is a great site for basic information but look at herbalacademyofne.com for more extensive info. Can I solar infuse both lavender AND calendula in the same jar? I have been making calendula oil for years but would like to know the strenght of the oil without having to pay huge amount to a lab for being checked. Do you have any idea how to do this? Any idea if lower grade olive oils don’t keep fresh as long as extra virgin? All the salve recipes Ive read recommend extra virgin, but like you, I’ve been using the cheaper stuff. Thank you! Lovely post. I doubt there’s a difference in shelf life. Or if anything, the more processed stuff might keep better. But honestly I’ve never seen anything on that topic so I’m just guessing. I think the preference for EVO comes from a general distrust of the chemical makeup of the more processed oil. Are the marigolds that I plant around my tomatoes acceptable to use? Thank you for your common sense, no nonsense approach to working with herbs. I won’t call it herbalism anymore because that smacks of praying to the plants spirits and devas and such and I just can’t go there. Can I make a calendula oil like this with calendula powder?? I keep googling and googling, and I’m not getting any good results. I assume I’d use far less powder, and it might not need to steep as long? Any thoughts or website suggestions would be much appreciated! I’ve never worked with calendula powder, so it’s hard for me to say. I’d say you could, and that the only problem would be straining it properly at the end to ensure the oil didn’t end up grainy. It would probably take a few runs, from coarser to finer, ending perhaps with a coffee filter? As far as quantity, that is hard to judge–but at the same time, not something I’d be worried about. A little or a lot, the mere presence of the calendula in the oil will be a good thing. I made my first batch of calendula salve today. I was wondering if you use the oil soaked flowers in some way or just discard them after the oil is infused? Thanks.